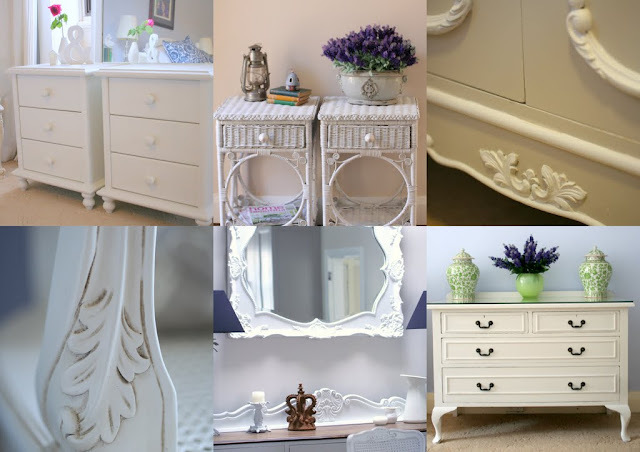 I get lots of lovely emails and comments from people who have found my blog from googling furniture painting advice. 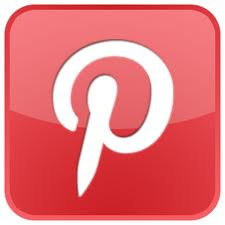 I am very happy to help anyone with their DIY ventures so please feel free to ask away. II have tried many projects and learnt a lot along the way. One thing I get asked a lot of about what sort of paint to use when painting furniture. To be truthful your paint choice will depend on your personal style and what sort of look you are going for. If you like the look of my furniture, then read on! I don't use oil based paint not for my house and not on my furniture. I quite like the environment:) Oil based paints smell, are not low VOC and are difficult to dispose off. It's a pain to clean up your brushes, and then the cleaning solvents are difficult to dispose of. Oil based paints also take a long time to dry between coats. The only exception to my dislike of non-water based paint, is if I have an especially shiny old baked on finish on furniture like the armoire, or a piece of Bali furniture that bleed heavily (like the white bench I painted recently) I will use a Zinsser Oil based primer or shellac based BIN. Hint: I leave my paint brush wrapped in gladwrap in the fridge in between coats to save on cleaning. But the main reason I don't use oil based paint is that due to the alkyds in them, oil based paint will ALWAYS yellow over time. I want my white furniture to stay white. Depending on the previous finish and the amount of sunlight your piece or house trim gets, this can actually happen quite quickly, often within a year of painting. The less sunlight your piece is exposed to the quicker this will happen. These days, water based paint technology has made such great advances that it is just not necessary to use old fashioned oil based paint. Many paint companies are phasing out their range of oil based paints altogether. I recommend these aqua enamels (in a semi gloss) for kitchen cabinetry, bathroom and laundry cabinetry, furniture that is super easy to clean and maintain, if you don't want to worry about water rings from glasses etc). I would also use this if I were ever painting mid century modern furniture that requires a more modern look. 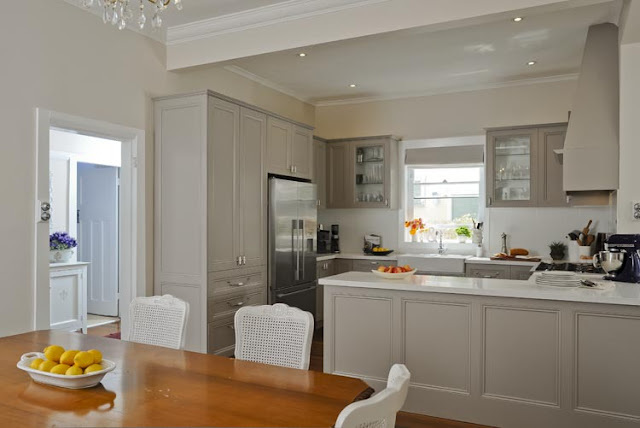 A great option especially love a French matte or shabby chic look is Flat acrylic paint (interior latex/emulsion/acrylic) that you would normally use on walls. I love using this for my painted furniture. It will usually require a top coat but it is easy to paint with, easy to clean up, gives a great finish and is very affordable. You can easily just buy a 500ml sample pot and use that. It will cost around $10. This size will paint several pieces of furniture. You will need a top coat to protect you work - see my tutorial page for the Wax and Top Coat Tutorial. Milk paint is a wonderful option but it is more expensive and actually requires a more advanced technique. 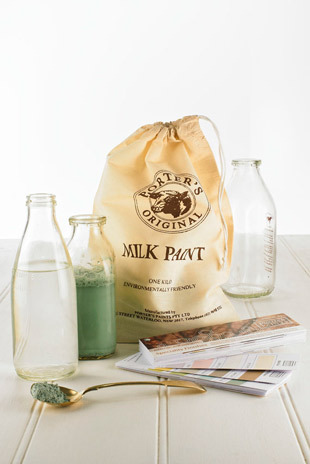 In Australia, currently the only true milk paint available is Porters Milk Paint and Miss Mustard Seed. It is quite lovely to use and gives a beautiful finish when sealed with furniture wax. Miss mustard seed's paint seems to be much harder to control if you don't use the techniques that Porters suggest it you can use the bonding agent to control the crazy chippy. 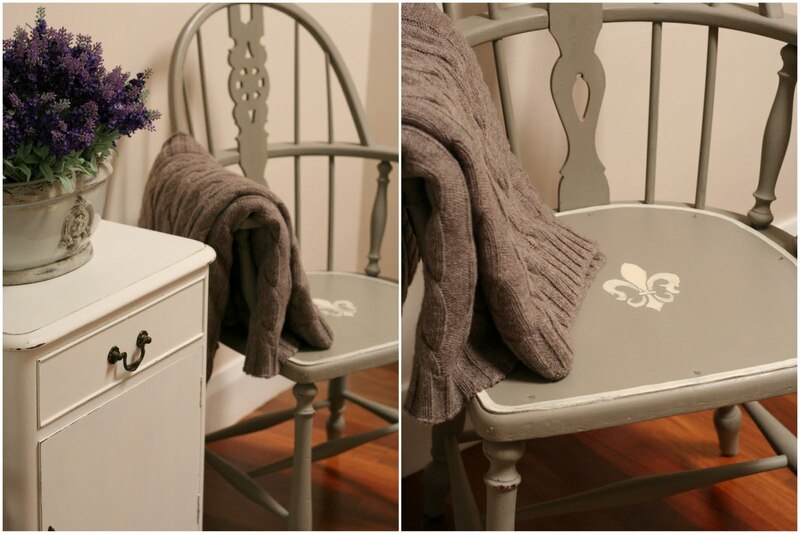 Chalk paint (such as Annie Sloan or Porters' Chalk Emulsion) is a wonderful traditional natural paint for furniture. (I'm not talking chalkboard paint). These are expensive but they are just wonderful to paint furniture with. 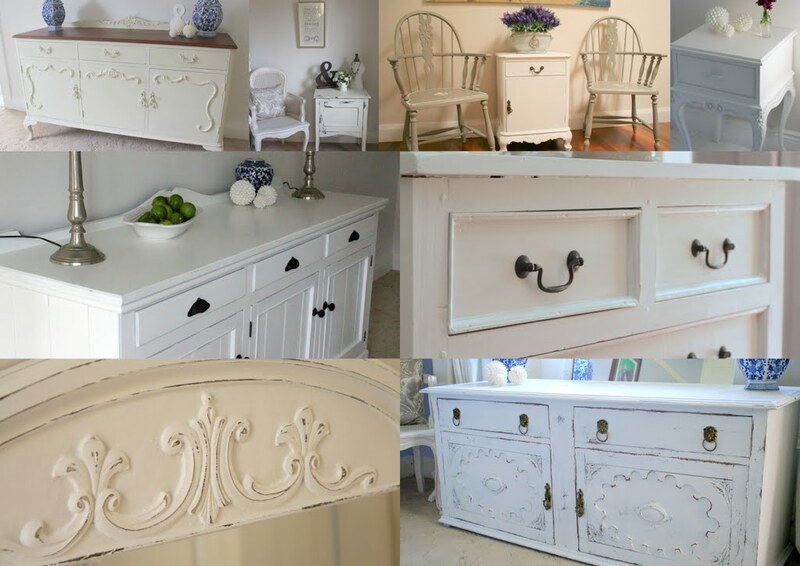 Annie developed her paint over 25 years ago specifically for furniture and I really love it. 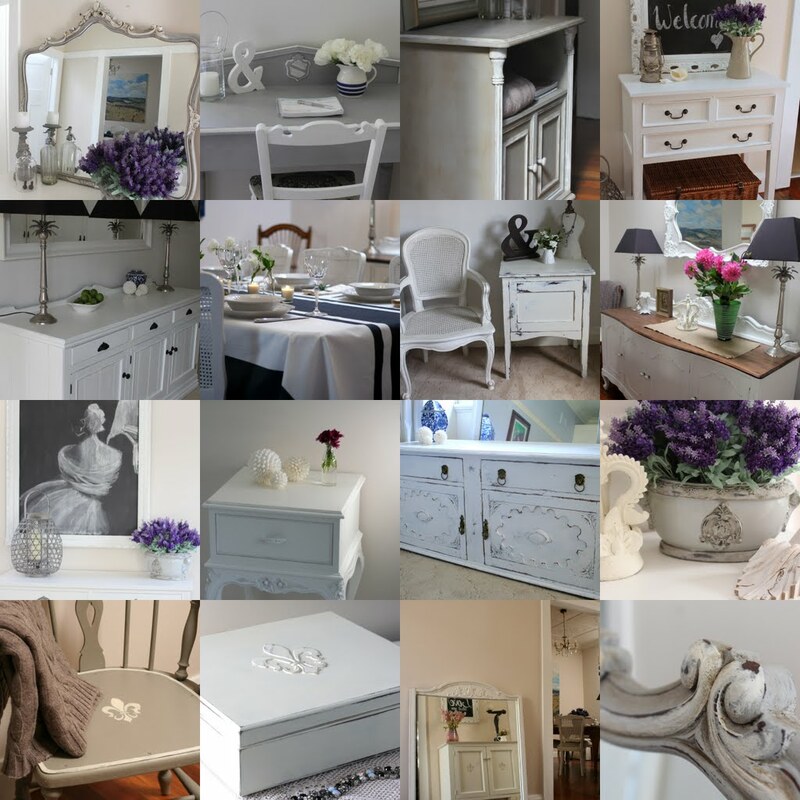 For Annie Sloan Chalk Paint Australian Stockists go here. 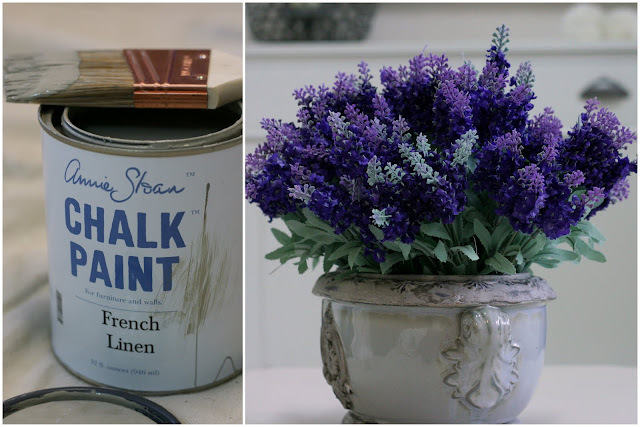 You can also make your own chalk paint. I will blog a recipe soon but I have done this for several years now and I love the old fashioned French feel it gives my furniture. I hope this guide helps you and especially deters you from using white oil based paint in your projects. The yellowing of the white oil based paint that occurs is just so disappointing, especially when it's your time and effort wasted. Please let me know your favourite paint to use in the comment below. 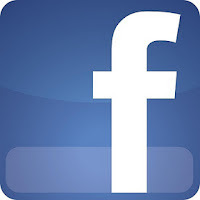 Go on and share your experiences. hi Brenda, for your bedside you will just need to lightly sand it. just get a sanding pad or hand sander and rub it down as though you were giving it a good scour. You do not need to remove the previous surface unless it is damaged or chipped. I think most people sand too much. These days primer/sealer/undercoats are all one product. If you are using Zinsser as your primer you don't even need to sand. If you follow my tutorial for painting furniture then that will give you a good basis. lightly sand, prime, 2-3 cats of paint, top coat as required. you can sand very lightly in between paint coats for a smoother finish. the random orvital sander can be used but use it gently so you don't mark the wood. Thanks FionaI I have already read your furniture painting tips and have been out and acquired new brushes, paint, and furniture wax. I am very excited about getting on to it but I must do the bathroom first as my husband will be away so the paint fumes won't worry him. The top surface is slightly damaged but the rest of it is in good condition. Thanks for your advice, I really appreciate it. enjoy your evening. Regards Brenda. PS Loved your "pretty things"
thank you Fiona! I love all your tutorials - they are very well written and full of great information. You are very generous to share your knowledge. Your furniture is very beautiful and I love how passionate you are. I am also looking forward to seeing your chalk paint recipe. I recently, via inspiration from your lovely photos, painted some furniture, and as I had never done it before, used ordinary wall paint. The paint man at the shop was aghast!!! The furniture needs a few coats but all in all quite good! I am wondering about wax - I used a beeswax furniture polish and it was dreadful - no softness to the touch. What do you find works the best? Many thanks. thanks Petra - hardware men know nothing about painting furniture to be honest. they are usually aghast at even painting "lovely old wood". oh well, luckily for the blogging world we know better. 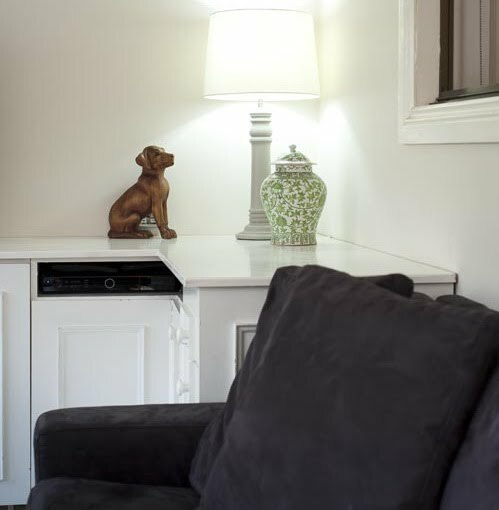 see here http://www.lilyfieldlife.com/2013/03/furniture-topcoats-and-waxes-australian.html for me advice on waxes. I never use pure beeswax mainly because of the smell. I cant believe oil-based paints are still even being sold !!! They look hideous ..... apart from allthe other downsides you mention....Thank you for your spirit of great generosity Fiona .....love your page so much. What a beautiful home !! Modern,yet that distinct feel of timeless "otherness" that is so hard really to define.....just dreamy. 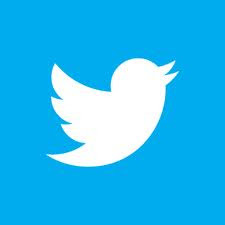 I hope this gets thru, as i just dont understand what selecting a profileeven means !!!! My name is Katerina....but i will have to post as anonymous,asi think thats the only way it will post for me.Cheers. Fabric Sofas Great additions to any home, a sofa bed is a practical solution for many living rooms or spare rooms and can be added to many fabric sofas or leather sofas. OMG LOVE IT ALL – & love that mirror – my grandmother has the exact mirror but in it’s original condition which is a gold – and it’s crazy heavy & substantial – bought in the 80′s I believe – LOVE that you have it white!!! thanks Akanshsa -The mirror wasn't gold originally - it was brown but yes I like it white also. Can I please ask you to not add spam in my comments section please. I love Zinsser, its a genius product. But my go to pretty much every time is home made chalk paint, it makes nearly everything look fab. I also have two boxes of MMS milk paint my hubby brought back from the US in January but I'm too scared to use it! You may know this already, but I use pure eucalyptus oil to clean up when I use oil based paint. It cleans up beautifully and doesn't destroy my skin like turps. thanks for the paint low down...always good to hear it from someone who uses it on a regular basis. 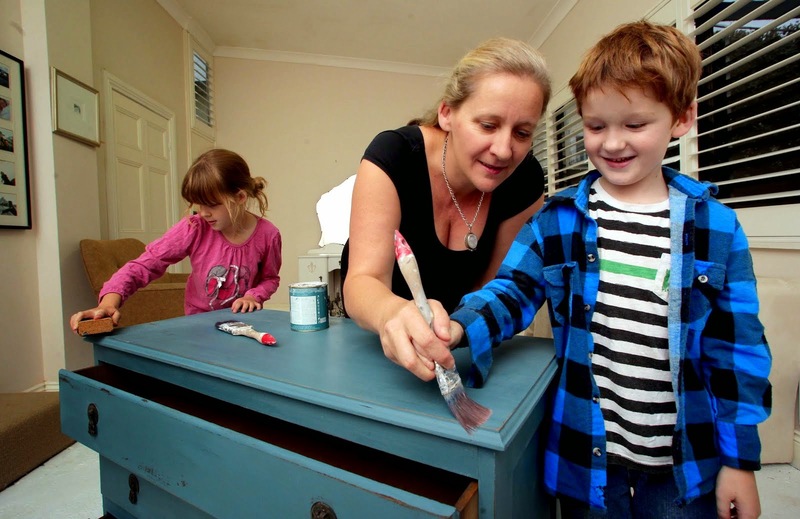 I still love my homemade chalk paint but am keen to try annie sloans one day. I so agree with you! I just blogged yesterday I will never use oil based paints again because of the yellowing and also the clean up! Your furniture is fabulous! A great post Fiona! I've also had trouble with white oil paint turning yellow. I never knew why - we are not smokers and I thought it was only from that. So I had wondered how it had happened - Ewww. I love your tutorial posts - it's been said above but you are so generous and inspiring. Good post Fiona. I do the glad wrap trick too. Funny! I'm a new follower of your blog - must firstly say, I love your house and some of the pieces you've created! I'm supposed to be packing RIGHT NOW as I'm moving into our new place tomorrow. A friend and I have recently been toying with the idea of painting some of our own pieces (a lot more affordable than buying!) and this guide is a great help. Thank you! 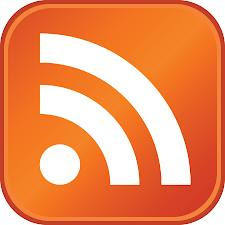 hi Karen - i have blogged it before but i change what i do all the time. it's not an exact science. if you search my blog for chalk paint using the search box in the right hand column you should find the posts where i talk about what i do. Our house if full of Bali-style dark timber furniture but I am wanting to go with a more lighter style in our new smaller home (love all your furniture in your house). In saying that I have just seen a great glass display cabinet at a local second hand shop for $300 and wonder if this could be the 1st of my painting challengers. It is dark wood, I'm not sure what type but in the same Bali-style as my other furniture. Is painting such a large piece quite pricey? and If I need to use an oil based 'BIN' primer as the base what do I use as the top coat? Also you talked about yellowing, does that mean if it is in direct sunlight it will yellow and possible need to be re-done? hi Mel, thanks for the lovely comments. The hardest part of Bali timber is the likelihood of it bleeding. Zinsser Shellac based BIN will solve this but you may need two coats of primer before painting. The paint you use for the top coat can be anything -depending on what look you are aiming for. anything can go over Zinsser BIN. You could always use acrylic based paint instead. I have a Bali cabinet I would love to refinish. I'm not sure where to start? Is there something I should be using to remove the dark stain first to should I just sand it? Not sure if it's going to be easy. Loving your website. Finally convinced the husband that our new Hamptons style built ins need to look flat and not semi glossy and with a tiny bit of distressing as the dining table bought on Gumtree is very weathered and is next to one of the built ins. I'm on Instagram and will be posting the progress. hamptonsonthegoldcoast . Floors get laid on Monday so the built ins must be painted this week end. Eeek! I'm off to spend more time on your blog and hopefully find you on Instagram!